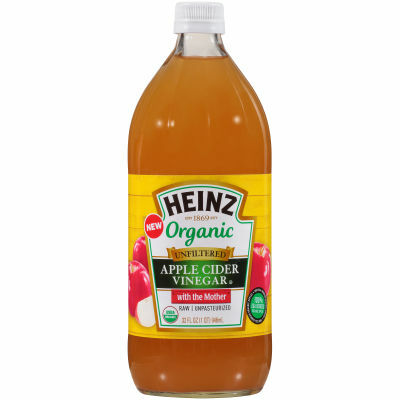 Heinz Organic Unfiltered Apple Cider Vinegar only uses 100% USA-sourced organic apples, fresh-pressed for a tart, sweet and delicious taste in every sip and every bite! Unfiltered, Raw and Unpasteurized, Heinz Organic Unfiltered Apple Cider Vinegar retains the remarkable “mother”, a compound created naturally during the vinegar fermentation process. Serving size 1 Tbsp (15ml).